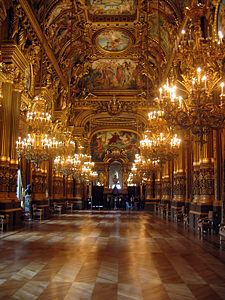 An interior view of the Paris Opera Garnier. See the Full Version online: 000242.jp2. This photograph has been requested 14 times.